On April 24, the White House honored the Tzu Chi Foundation as Hurricane Sandy “Champions of Change. The Champions event highlighted people and organizations directly involved in response and recovery efforts following Hurricane Sandy. Six members from the American branches of the foundation went to Washington for the ceremony, to receive it under the White House’s ‘Champions of Change’ program. 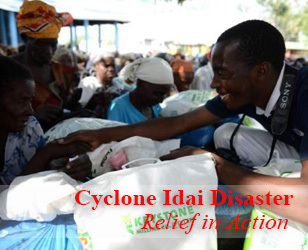 After the hurricane, more than 4,000 Tzu Chi volunteers distributed hot meals, blankets and emergency cash debit cards worth nearly US$10 million to 18,000 households, helping more than 60,000 people in New York and New Jersey. In April this year, volunteers provided similar cash cards to those affected by the explosion of the Waco fertilizer plant in Texas and gave love and concern to the runners of the Boston marathon and their families after the bomb explosion. The foundation came to the attention of the White House thanks to Jannah Scott Ph.D, deputy director of its Religious Affairs Division. Scott has several times been to the foundation’s U.S. headquarters in California and seen its medical work at first hand. She has been moved by the spirit and practice of Master Cheng Yen and praised her philosophy. After learning of the relief work which the volunteers have done in the United States, she proposed that the foundation receive the award. In a speech at the presentation, an official of the White House said that Tzu Chi had been to 25 of the areas in New York and New Jersey worst affected by Hurricane Sandy and had helped nearly 60,000 people. “Its volunteers also went immediately to the scene of the explosion of a fertilizer plant in Waco, Texas to provide emergency cash cards and to bring love and concern to those traumatized by the bombing at the Boston Marathon. 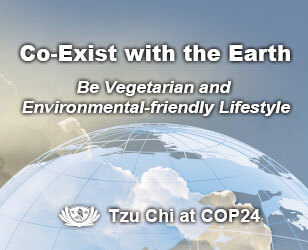 “Dharma Master Cheng Yen, a Buddhist nun from Taiwan, founded the Tzu Chi Foundation in 1966. It is an international humanitarian, non-profit organization that aspires to help the needy with love and inspire compassion in the wealthy. 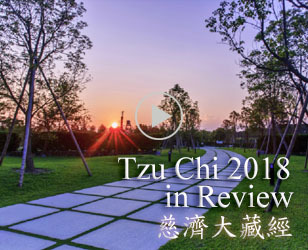 Tzu Chi, which means ‘compassion and relief’ in Chinese Mandarin, has over 10 million supporters worldwide and carries out its work through the four major missions of charity, medicine, education and humanistic culture and related fields such as community volunteerism, environmental protection and international disaster relief,” the official said. Present at the award ceremony were not only six representatives of different U.S. branches but also eight of the people who received a cash debit card from the foundation. At the ceremony, the White House honored seventeen people as Hurricane Sandy “Champions of Change.” Among the Champions, eight of them received the relief aid from Tzu Chi. The six representatives of Tzu Chi were Chen Jia-sheng from the New Jersey branch, Wang Ping-hua from New York, Su Yu-sheng from Long Island, Yu Xiu-zhen and Cheng Ying-fa from Washington and Debra Bourdeaux representing the headquarters. The six were all representatives of the foundation’s members worldwide and shared the religious spirit of boundless compassion of Master Cheng Yen. They stood together with the nearly 200 people at the award ceremony. Now, when people see the volunteers in blue and white uniforms, they know that they are volunteers of Tzu Chi. That day, the men wore suits and the mandarin gowns. When people asked “Are you Tzu Chi volunteers?”, they answered in the affirmative and raised their thumbs to express their thanks.